Oct. 2015 – St. Louis Mo. On Novenber 28 th, The Metropolitan St. Louis, East St. Louis, St. Charles and surrounding areas will get a chance to mingle with some of the top music & film hitters in the Mid-West. 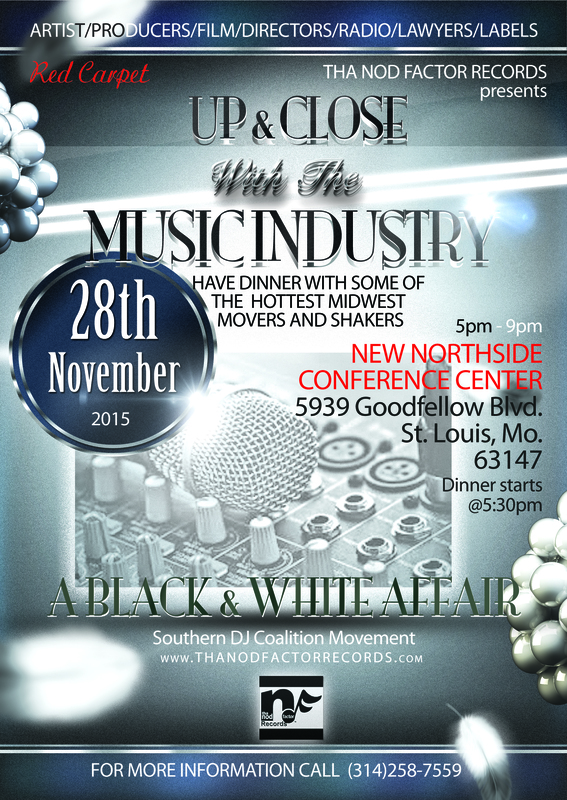 The 5 o’clock red carpet – Black and white affair will host some of the most connected manager, producers, directors, labels, lawyers, radio, and some of the baddest hit breakers from the Southern DJ Coalition Movement and more. The meeting of the music minds will be a social gathering where singers, rappers, actors, meet and get insight on what it takes to succeed in the entertainment industry. An exceptional dinner will be served around 5:30 pm. Hope to see you at the New Northside Conference Center located at 5939 Goodfellow Blvd. St. Louis, Mo. 63147. 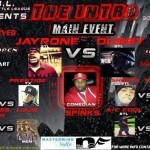 Tickets are $100.00 per person. Order yours now! For more information call 314-258-7559.